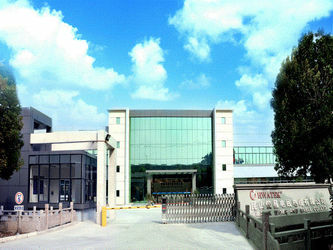 Kunshan Hwatek wire and cable Co., LTD was established in 2004,and located in #528 Xinsheng Road,Huaqiao international business park,Kunshan city.Factory Area:12000 square meters,300 sets of production and test instruments,production capability is over than 300 ton.In addition,we can make overall cable test including environment,electric,mechanical,physical performance etc.We obtain the ISO9000,ISO14000,TS16949 management system certifications and UL,CUL,CE,CCC production certifications,during the marking expand and customer service,we will continue to add management system and production certifications,Hwatek mainly product as following:Electronic consumer,industry connect cable,communication and medical cable,Energy cable and locomotive. 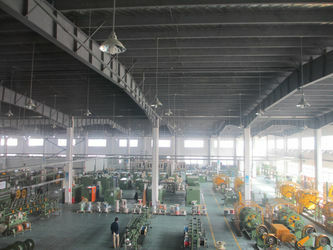 In order to ensure Hwatek production have persistent marking competitive power,Hwatek put forward advise and issue new objects to meet customers "special requirements".According to the requirements of marking and customers,Hwatek promote product certification and production line devices. 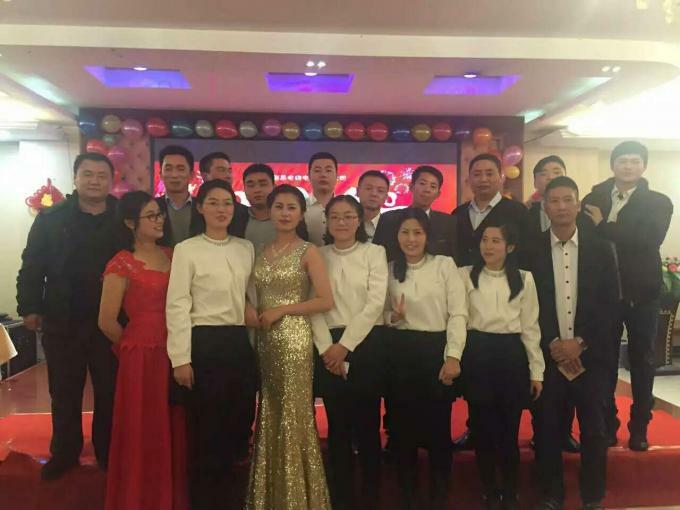 Hwatek persist in "Credibility and integrity management,High quality service,Continuously provide a satisfactory assort for customers" Enterprise Tenet,Constantly improve and perfect innovation,we will do our best to provide more professional service for our customers. 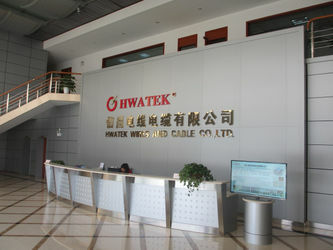 Hwatek was founded in Aug.2004,and registered Hwatek as the brand name of our products. Between year 2004~2005,we obtained UL,CCC,CE product certifications and ISO9001,ISO14001 quality system certifications. 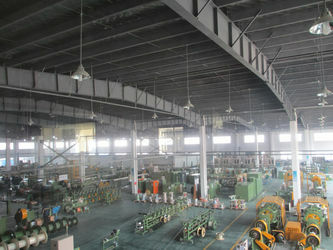 In May 2005 ,establish the communication cable development laboratory and environmental testing laboratory. In 2007, we successfully developed antenna wires used in base station,solar panel torsion cable and other series of products.Formed five series of wire and cable products containing Consumer Electronic wires,Communication cable,Industrial Control cable,Medical cable and Green Energy cable. 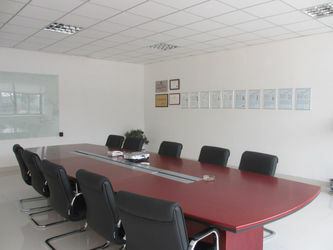 In May 2010, we obtained "R&D Institution Certificate in Suzhou". 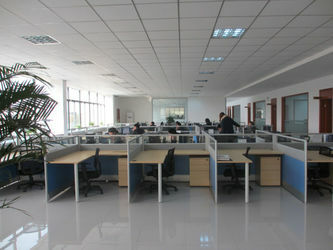 In Mar 2011,our company was awarded "High-Tech Enterprise of Jiangsu province". In Mar 2013,we obtained the AQA TS16949 system certification. 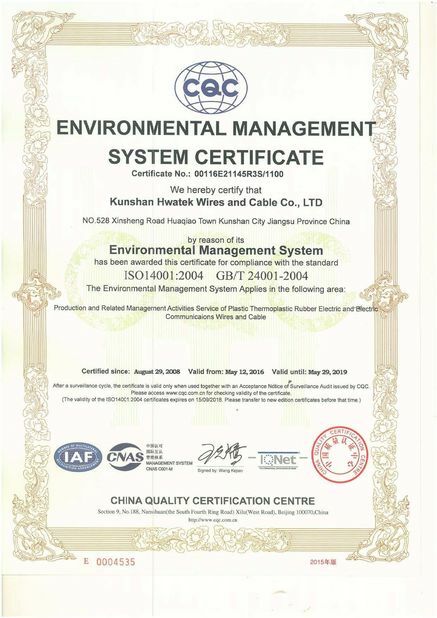 In Dec 2013,we obtained CSA products certificate,ETL CAT wire certificates. 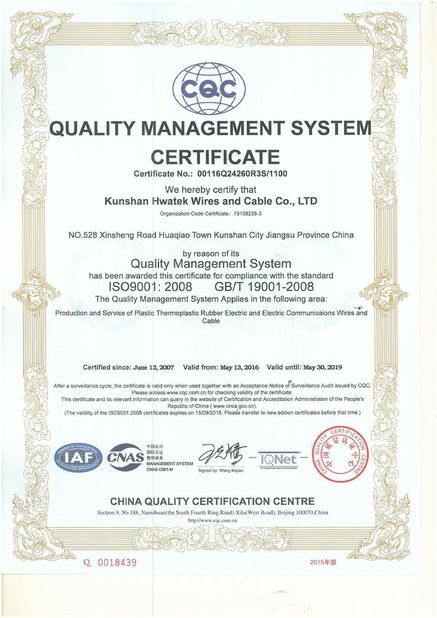 In Oct 2014,we obtained UL62 certification of New Energy Automobile cable. In Nov 2015,Became a member of China Robot Industry Alliance. In April 2016, Electric vehicle transmission system (DEKRA certification) was obtained in April 2016. Our quotation is based on Shanghai metal mesh spot copper price (with the exception of customer specified requirements), and in accordance with the tax copper price of 50000 RMB/T range, due to fluctuations in copper prices, has made a formal order according to the copper price accordingly. There is no abnormal situation. It is about one day in Shanghai and zhejiang, and other areas have about 3-5 days of shipping time for logistics distribution. The packing method of our quotation is packed in regular packing. If you have any requirement for packing, please put it in detail. We are a young dynamic team of development, after many years of experience in the industry of knowledge and resources, and from different areas of product consulting, we provide professional cable technology, certification services to customers, our aim is "the good faith management, quality service, continuing to provide every customer with supporting", adhere to constantly improve innovation, makes every effort to provide more professional service for you, depends on your support, we will continue to work hard, do better.